277201 ... 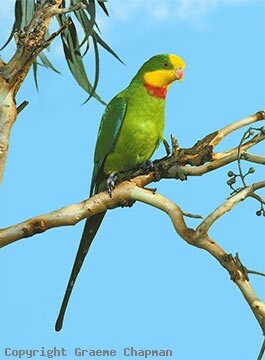 Superb Parrot, adult male. 277202 ... 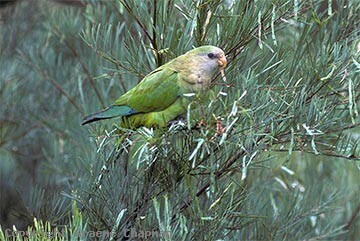 Superb Parrot, juvenile. 277204 ... 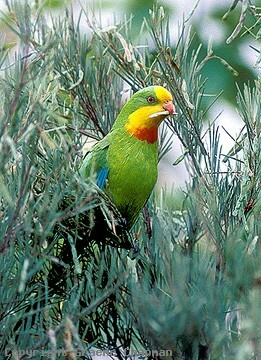 Male feeding on green seed pod of Snowy River Wattle, Acacia boormanni , in Canberra. 277205 ... 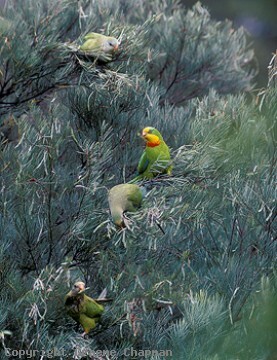 Male and three fledglings feeding on Snowy River Wattle.